Always a snap away from a fresh point! Great for cutting paper, wallpaper, contact paper, cardboard, vinyl, leather, carpet, flowers, and more. 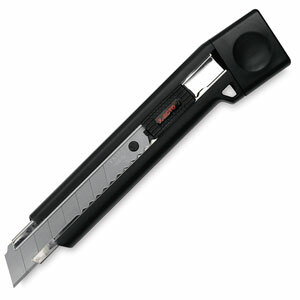 Supplied with 13 snap-off blades.